Why Won't Rogers Wireless Sell Me a Windows Phone 7? 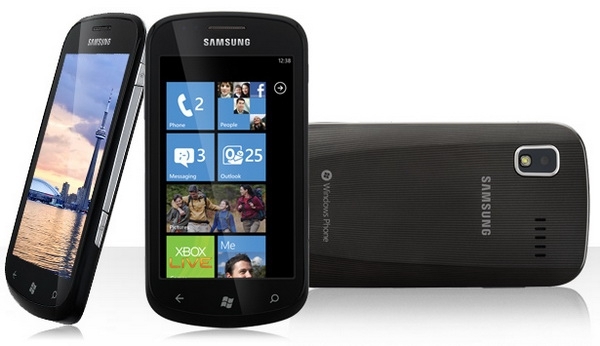 I'm not sure what the launch of Windows Phone 7 has been like in your part of the world, but in Canada I'm finding myself extremely frustrated with how hard it is to get my hands on one of these new phones. I've been with Rogers Wireless since 2008, originally getting a Samsung Jack (Blackjack II), and am due for a hardware upgrade. I've been using the HTC HD2 since this time last year, chugging along at 2G speeds (yeah, feel my pain! ), and after using the prototype Windows Phone 7 hardware a few weeks ago, I desperately want to move to the new platform. The Samsung Focus was announced on Rogers' Website on November the 8th, so I assumed that within a few days I'd be able to buy one. I started calling local wireless stores, expecting to find one easily. I was surprised when, at three different stores (one of them an official Rogers-run store), I was told that not only did they not have this new phone, but they weren't expected to have it for weeks. WEEKS? I phoned Rogers' online sales team, and they informed me that they didn't have the Samsung Focus available to them for customer hardware upgrades - only customers signing up on a new contract could get the phone. WHAT? Since the 8th, I've been calling every couple of days, and as of today (the 23rd), no retail stores have the phone - I've been by at the "end of the month" the phone will be available at retail. There aren't even demo phones in retail stores for customers to look at. When I pressed a customer service rep on the issue, she told me that Rogers only ordered a small number of Samsung Focus phones, which is why they're only for new customers. She indicated that by the end of the month the retail stores should be getting their allocation of this phone, and I should be able to buy it then. That's why articles like this one tick me off; there's an assumption out there that everyone is able to buy a Windows Phone 7, but if my experience is any indication, not all of Microsoft's carrier partners decided to support this new platform in a big way - Rogers in particular seems very committed to the iPhone and Android, and decided to sabotage the launch of Windows Phone 7. Too strong of a word? I can't think of a better one to describe the scenario where your go-to-market partner decides not to make your product available for sale until almost a month after it launches. How are you faring in getting a Windows Phone 7 device? Vote in the poll below and let me know in the comments. Local launch is supposed to be today. Unfortunately only one carrier in Malaysia is going to be offering WP7, and the only model available is the HD7 (I'm more interested in the Focus). Not exactly a lot of choice here, and no idea on what stocks will actually be available. I'd ship one over to you Jason, but unfortunately we don't use the same bands! I feel your pain. I work for Sprint and don't even have a clue when we are going to cary one. This seems weird; it reminds me when I bought my first Toshiba Tablet: they were in high demand and a CompUSA bloody idiot rep tried to say that I could have bought one only buying a 3 Service contract with them, I called Toshiba on the spot and the requirement was dropped at once. I bought a HD7 the day it launched at a T-Mobile store in Miami, they had plenty of them and no people in line; after a week I returned it because I was not convinced about the hardware and bought a Focus through Expansys because AT&T did not want to unlock the phone in spite of the fact I was paying the full price. Anyway considering that now AT&T offer to people that walk in a store and buy an HTC Surround, a LG Quantum or a Samsung Focus another same devices for free I guess there is no shortage. Only requirement is to sigh two separate two years contracts. Now I am not familiar with Rogers but it might be possible that they were trying to force people who wanted to be early adopter to get in a new, maybe more expensive, contract. Last edited by Fritzly; 11-24-2010 at 04:27 AM.. I was able to get one, I ordered mine from their online store the day after the launch, on the day of the launch I went to about three stores and all three had no clue. The TELUS store next door to the Rogers store in Yorkdale mall had the HTC surround live and in living colour. The fallowing day I tried doing a hardware upgrade but I’m no eligible until Feb of next year, while I was on the phone with the sales rep she was trying to sell me an Android phone, saying windows OS is not good and it’s old. I then told her that this platform as it stands at version one is As as good as the iphone and android or even better. Btw I bought mine out of contract and I haven’t regretted it. WP7FTW!!!!! I ended up switching from Bell to Telus because Bell didn't have a Win7 phone. I'm really happy with the switch though. I've been on the old PPC OS since '99 so I'm really happy with the changes. I highly recommend the LG Optimus 7. Best phone I've had or managed ever, hands down. The rep at the Telus store told me they were selling them like crazy too. Articles like that tick me off because they keep unfavourably comparing sales for a version one OS in the US alone (based on one reported anonymous source) to worldwide sales and presales for the now many years matured iPhone and Android OSes. I don't know what the real sales situation is, and if shortages of product are as severe as they appear in places, but neither do any of the staggeringly poor journos who seem unable to wait for real info before rushing to judgement, or grasp that they aren't even managing to compare like with like anyway. How are you faring in getting a Windows Phone 7 device? Absolutely no problems here in Australia. I walked into Telstra on October 21 and walked out with an unlocked HTC 7 Mozart. They've backed and continue to back the iPhone, Android, and BlackBerry in big ways, and Windows Phone 7 isn't any different -- billboards, bus stand ads, TV ads, online ads, store banners, you name it. The other carriers such as Optus and Vodafone tend not to campaign as heavily, though they've had Windows Phone 7 devices available for a number of weeks now. Whether you want one on contract or want one outright, it's a walk in the park. All with the added bonus of being unlocked, too. There has not been a real shortage problem here in Chicago. I was waiting for the Dell Venue Pro but got so frustrated with all of the delays and news regarding faulty units that I decided to pick up the HD7. I may return it to take part in the BOGO deals this weekend, but so far I am really happy with the purchase!